As Chloe and Lucifer go on the hunt for a serial killer targeting couples in love, Pierce realizes the case is connected to a murder he previously solved…in 1958. 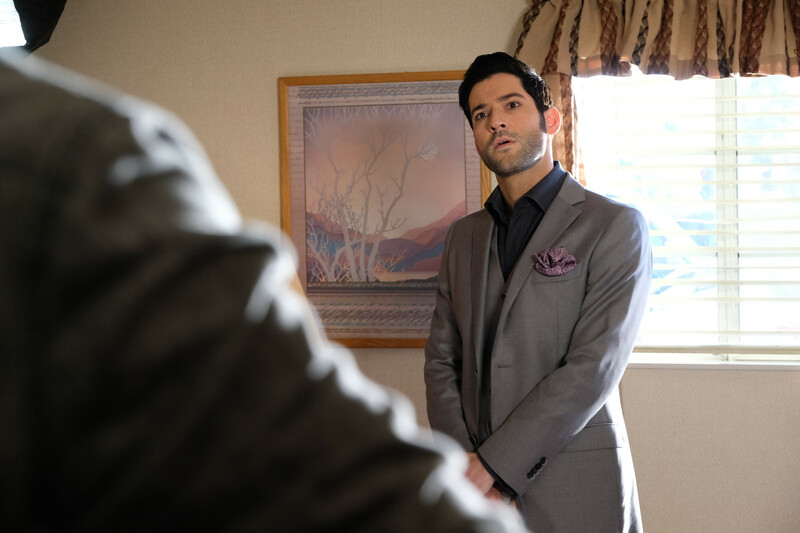 Then, Lucifer becomes upset when Pierce has a change of heart about an important decision. Guest Cast: Fiona Gubelmann as Kay/Maddie, Joshua Gomez as Neil Berger, Andrew Leeds as Joel. Air Date: Monday, March 19 (8:00-9:00 PM ET/PT) on FOX.